Domestic Sluttery: T-Rex-tasy, it's Designosaur! We've always had a soft spot for dinosaurs and, unless you've been hiding round the back of the Natural History Museum, you can't help but have noticed they seem to have been cropping up even more frequently on these pages recently: Sara wrote about the brill brontosaurus earrings at What I Always Wanted and Laura featured a cut-price dino charm in last week's Sluttery Sales Spy. Dinosaur are having their biggest 'moment' since the heady days of Jurassic Park. I've just found my favourite dino pieces yet (unbelievably not Urban Outfitters' Spangled Disco Dinosaur sunglasses in neon, though that's a very good effort). It's the range from Designosaur, new in at Hannah Zakari. 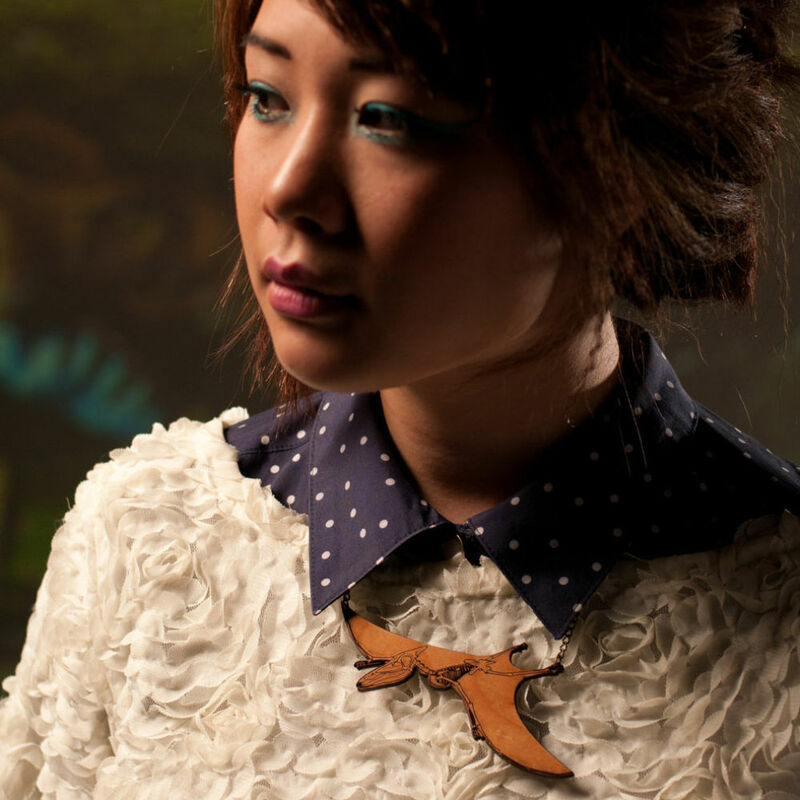 This Brighton-based duo produce the very fiercest kind of jewellery, with their name indicating their emphasis on design as well as on the dinos. 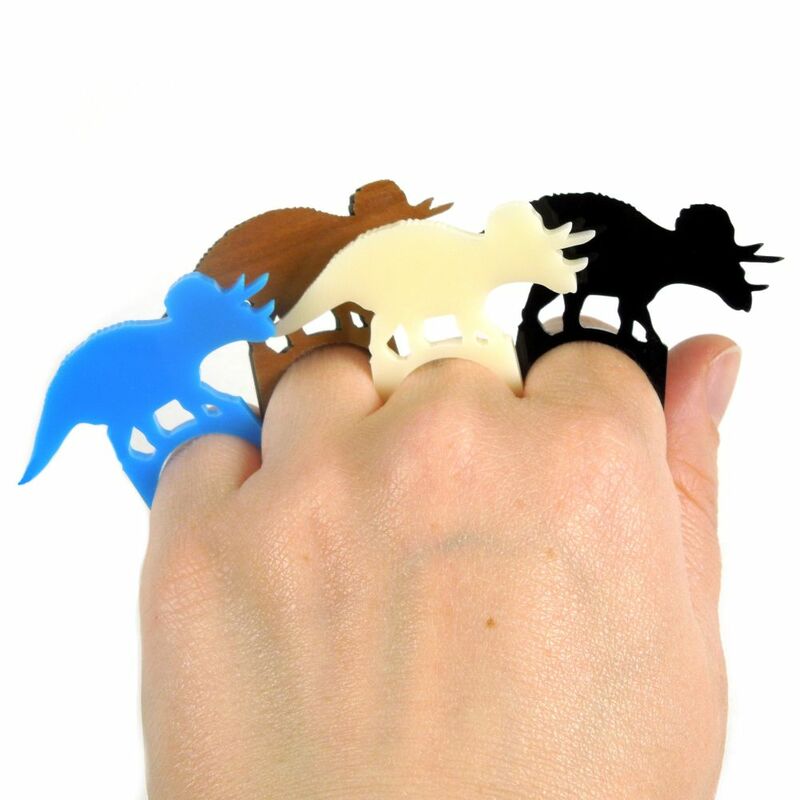 They are clever enough to make wooly mammoths from cherry wood and perspex, and that's just the tip of this dinosaur-friendly iceberg. If you don't want to go mammoth, consider the Parasaurolophus. 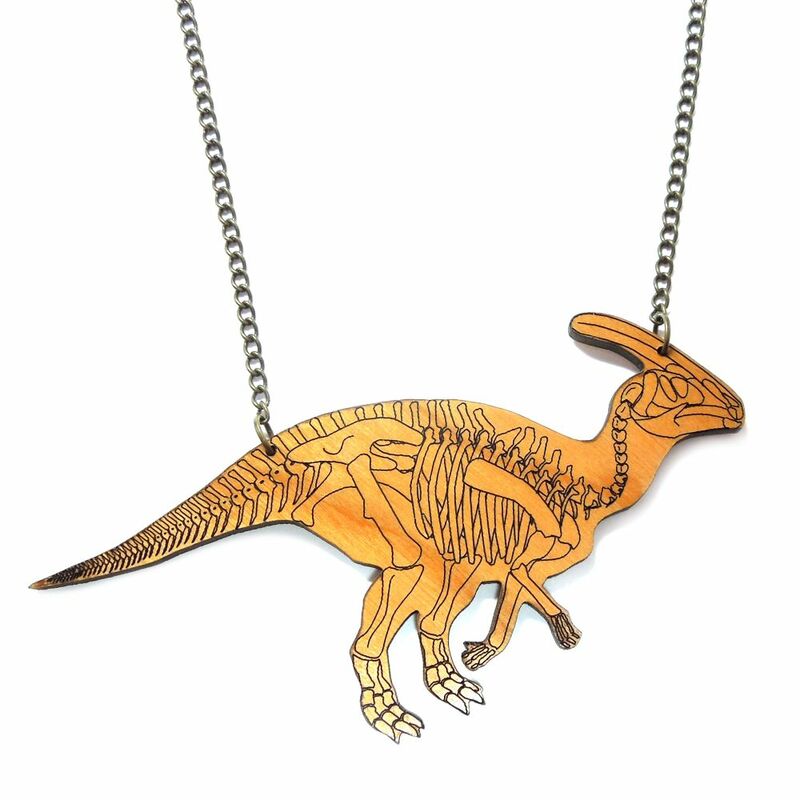 The outline of the creature is decorated with its skeleton structure, making it educational as well as stylish - though you do run the risk of small children trying to seize it from around your neck to tell you everything they know about dinosaurs (I'd imagine that's quite a lot). When I wrote about Paisie's necklaces, there was a very sensible comment about wanting to know the scale of the pieces. While I'm a bit disappointed to find out that Designosaur's necklace aren't so huge they'd double as a prehistoric style breast plate, I guess this image does prove how wearable they actually are. 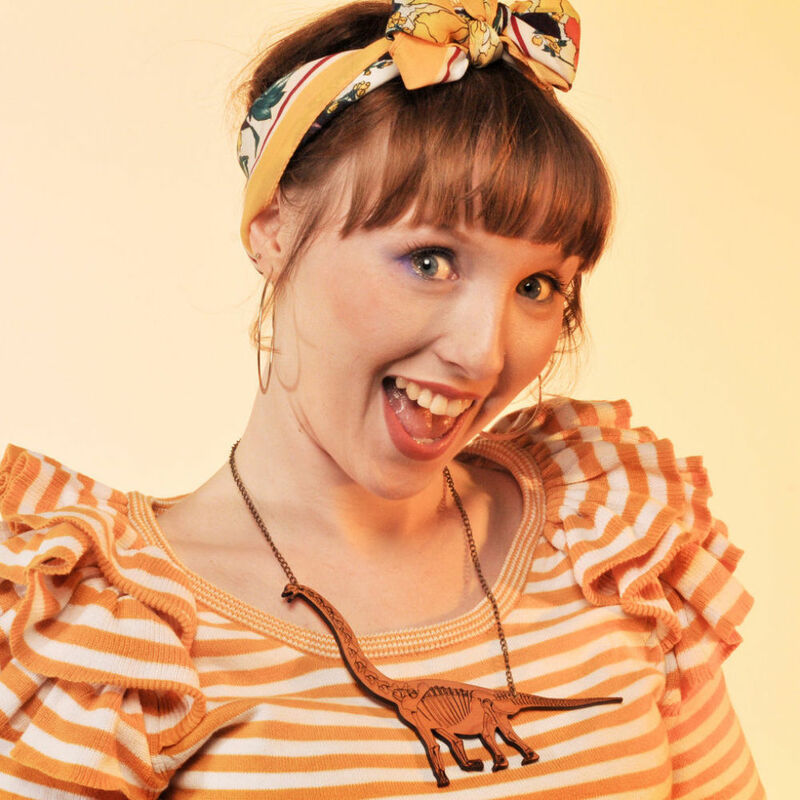 Look how pretty (yes, pretty) the Pterodactyl looks on. I wish she looked a bit happier about it though. That's better, look this lady is so very happy! Of course she is - she's wearing her very own Brachiosaurus. What more could a girl want in life? Well possibly a fist full of Triceratops. 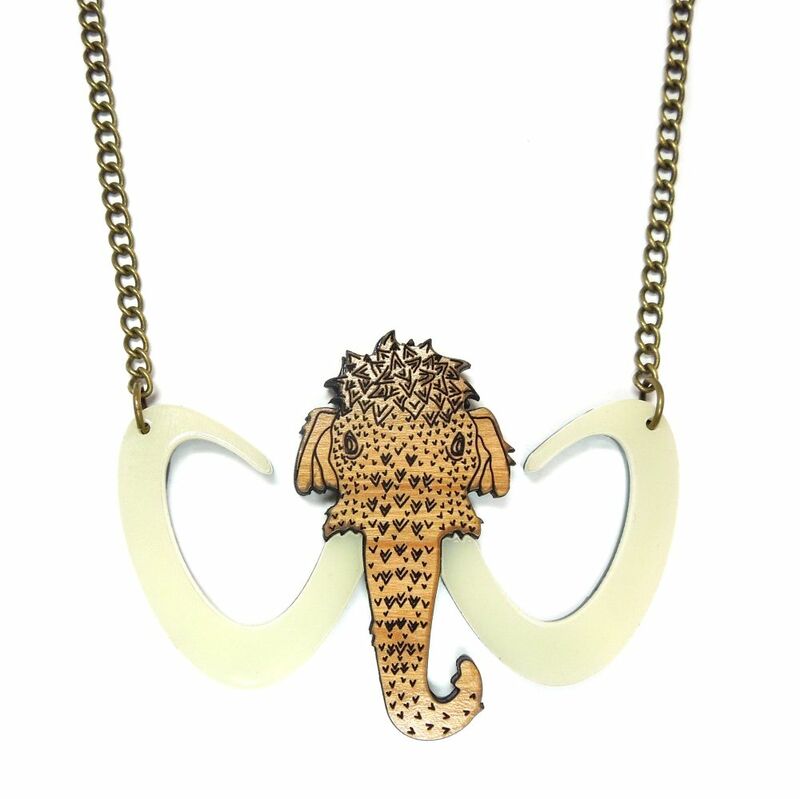 These beasts can be yours for a mere £8 each, while all the necklaces are £25. In conclusion: Designosaur-R-US.